WELLINGTON, New Zealand, March 15, 2017 (ENS) – The Whanganui River today was recognized by the New Zealand Parliament as having its own legal identity with all the rights, duties and liabilities of a person. New Zealand’s indigenous Maori people, or Iwi, won an decades-long legal battle, making their cherished Whanganui River the first in the world to be granted the status of a person under law. Te Awa Tupua, the Whanganui River Claims Settlement Bill, passed its third reading in Parliament on Wednesday, establishing a new legal framework for the river. 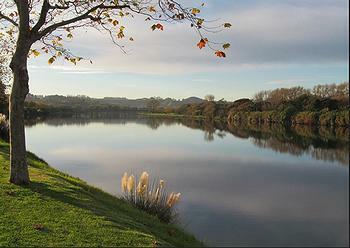 The bill recognizes the river on the North Island as an indivisible and living whole from the mountains to the sea. It gives the river legal personality and standing in its own right and enshrines in law and protects its rights and innate values. Over 200 descendants of Whanganui Iwi witnessed Parliament pass the Te Awa Tupua Bill into law and celebrated the historic moment with music and with tears. 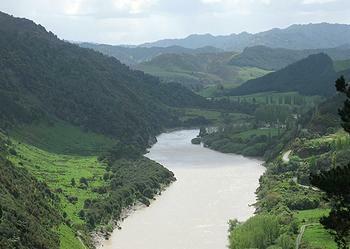 “Since the mid-1850s Whanganui Iwi have challenged the Crown’s impact on the health and wellbeing of the river and those who lived on it, and have fought to have their rights and their relationship with the River recognized,” said Gerrard Albert, the chair of Nga Tangata Tiaki o Whanganui and the lead negotiator for the Whanganui iwi. “Eighty years ago Whanganui Iwi started what was to become the longest running court case in New Zealand history over who owned the bed of the river. It has been a long, hard battle,” he said. “We have always believed that the Whanganui River is an indivisible and living whole – Te Awa Tupua – which includes all its physical and spiritual elements from the mountains of the central North Island to the sea,” Albert said. “We’ve always fought for the mana of the river. We treat the river as a tupuna, as an ancestor, and we needed to find something that would approximate that in law and uphold it. And from there, ensure that people understand it and work with it,” he said. Financial redress of NZ$80 million is included in the settlement as well as an additional $1 million contribution towards establishing the legal framework for the river. The Crown will also contribute $30 million towards a contestable fund to further the health and wellbeing of the Whanganui River.